The following are excerpts from an interview with renowned ABC & NBC producer, director and executive Don Ohlmeyer, which was conducted by ASA President Lou Schwartz at the National Academy of TV Arts & Sciences 28th annual Sports Emmy Awards. 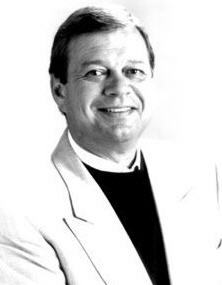 Ohlmeyer, former producer of ABC’s “Monday Night Football” and President of NBC West Coast, was the recipient of the Lifetime Achievement Award. Lou Schwartz: Do you remember your first job? Don Ohlmeyer: My first job in sports television was working as a runner for ABC back in the 60s when I was still at Notre Dame. They offered me a job right out of college as a Production Assistant for ABC Sports in 1967. A year later I became an Assistant Director and four months after that I started directing network television. LS: What was your first salary? DO: $135 a week. Originally, I come from a little town in Louisiana. I went to high school outside of Chicago. I went to college in the Midwest. I never had any money. I moved to New York with $108.67 to my name. So when I started making $135 a week, I thought I was the richest person in the world. DO: My biggest break was being assigned to the worst job at the Olympics which was the tape room in 1968. Through that I was able to work with Roone Arledge and over the years I continued to do assignments and things that he was involved in. LS: Do you have any favorite moments that stand out from your career? DO: One of my favorites was the day the ratings for the “Skins Game” came in. Everyone said it wouldn’t work and it turned out to be the highest or second highest rated golf telecast of the year. I always enjoy the challenge of doing something that people say can’t be done. LS: As a former producer of “Monday Night Football,” what can you tell me about one of our ASA Hall of Famers, Howard Cosell? DO: Howard had an unbelievable grasp of the English language and an extreme sense of integrity, but he was probably one of the most insecure men I’ve ever met. To a degree, I think that’s what drove him the most. Howard was a legitimate star. If he walked down the street in New York, there would be people yelling and screaming and pulling their cars over. Howard was a person that people loved and the ones that didn’t love him loved to hate him. But nobody didn’t know who he was. There was a TV Guide survey done in the 80s and Howard was voted the most liked announcer and the most hated. He won both categories. I remember he used to call me after every MNF game and say, “Kid, was I terrific tonight or what?” And I’d have to tell him he was terrific and then I would ask him if I could go to bed now.